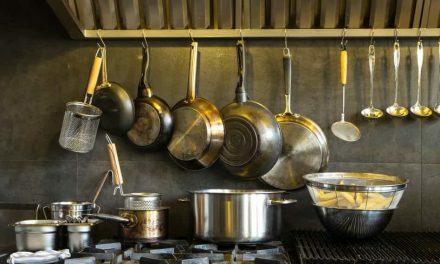 Finding the right cookware set is never an easy task. Non-stick, stainless steel, copper… there are so many options that you can easily get lost. Today, we review a great, affordable non-stick cookware set from T-fal. We’ve researched all the features and tested it out to see if they are true. Read on if you are interested in the results. 2 T-fal E765SH Hard Anodized Nonstick Cookware Set: What’s Included? Is it T-Fal or Tefal? Actually both. Both names belong to the same company and the name just depends on the country where they are sold. Also, both T-Fal and Tefal are names created by combining the words Teflon and aluminum. Therefore, it is not hard to guess what kind of cookware they are known for. In fact, non-stick cookware is what T-fal is all about. 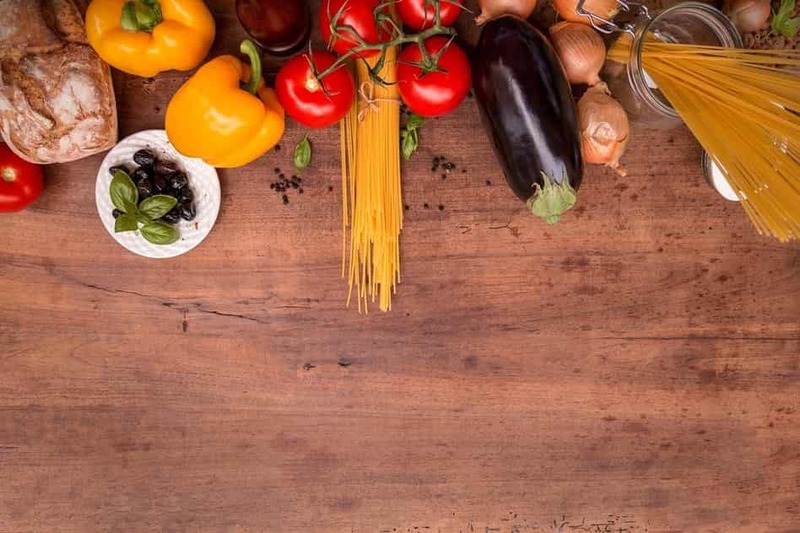 The company was founded in France more than half a century ago and they were among the first to introduce non-stick cookware to the ordinary cook. They were also the first to use Teflon, arguably the most famous non-stick coating, in their cookware. today they still use non-stick coatings, but the new coatings are reinforced and certified to be PFOA-free, lead-free, and cadmium-free. T-fal’s range now includes a wide selection of cookware, kitchen appliances, and accessories, all of which are reasonably priced. T-fal E765SH Hard Anodized Nonstick Cookware Set: What’s Included? One thing that sets this cookware set from T-fal from standard cookware sets is the fact that it contains as many as 17 pieces, including some that are rarely featured in cookware sets. The T-fal E765SH Hard Anodized Nonstick Cookware Set includes 2 frying pans, 3 saucepans, a saute pan, and a Dutch oven. So far so good. However, it also includes a griddle, a steamer insert, and an amazing little thing called the One egg wonder. The square griddle is a really nice addition. It works perfectly for making a variety of breakfast foods, but it’s also amazingly versatile. Your imagination is really your only limit when it comes to what you can cook on a griddle. Use it to make pancakes, eggs and bacon, french toast, hash browns, or whatever else you have in mind. The flat non-stick surface does not trap moisture and also makes it easy to flip and stir the food. We also really liked the fact that a steamer insert is included. 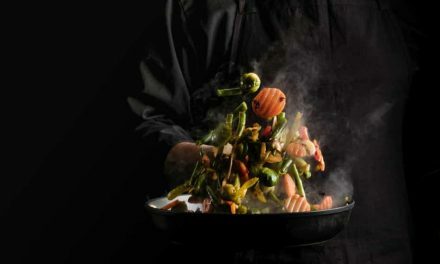 Just put some water in the pot, pop the steamer in, and you can enjoy healthy steamed vegetables within minutes. Finally, the One Egg Wonder is an amazing little pan, perfect for those who like to make just one egg. Moreover, using this little pan the cooked egg (scrambled or sunny side up, or whichever way you like it), will have a perfectly round shape which makes it fit perfectly into a sandwich. All of the pots and pans in this set are made from hard anodized heavy-gauge aluminum. 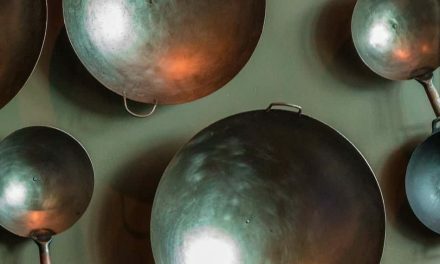 Hard anodized aluminum is durable, scratch-resistant, and not too heavy which is why we really love these pots and pans. They also have a special Anti-Warp base built in, which makes them last even longer than standard hard anodized cookware. The hard anodized exterior is very hard to scratch and super easy to clean which is always great. The pots and pans come in black and have a brushed aluminum finish on the outside. All the handles on pots and pans in this set are double-riveted and made of silicone. The silicone is soft and comfortable to use, but also safe to use at temperatures up to 400 degrees Fahrenheit. The lids are made of tempered glass with nice large handles on top with silicone grips. All of the pots and pans in this set feature a non-stick coating, which is really T-Fal’s signature detail. Although they are mostly known for Teflon, today they use a modern non-stick coating free of any harmful chemicals. It does contain PTFE, but it has been proven that PTFE is not harmful for your health, it’s just PFOA. Health concerns aside, this is a great non-stick coating. It is durable and quite resistant. So much so that it is even dishwasher-safe and safe to use with metal utensils. All the pots and pans in this set come with an innovative solution called the Thermo-spot. Now, you might be wondering, what exactly is Thermo-spot and why do I need it? 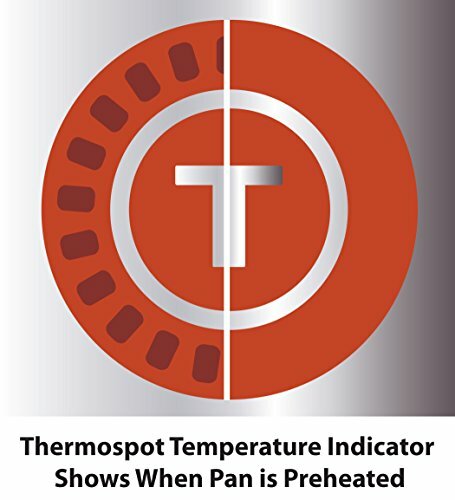 Thermo-spot is a special heat indicator patented by T-fal. It is a red circle in the middle of your pan with a circular pattern. As your pan heats up, the circle changes color and the pattern gradually disappears. Once the circle is completely red, you know that your pan has reached the cooking temperature. 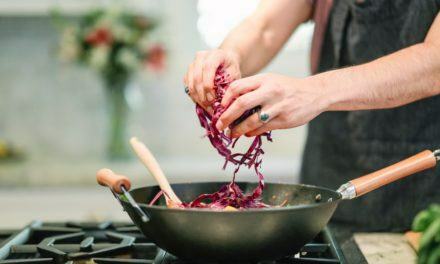 Preheating your pan to just the right temperature is actually really important for many dishes, so this feature can really make your life easier and your cooking better!